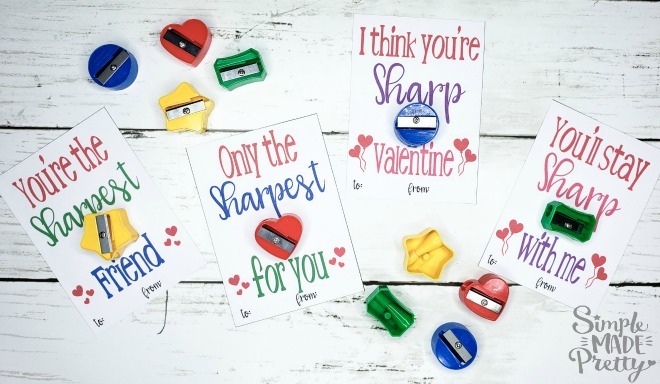 Make these Valentine cards with pencil sharpener using these free printable valentines. 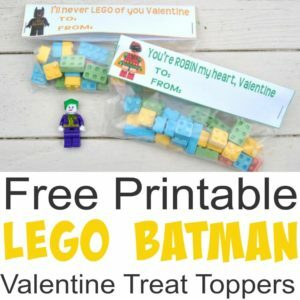 I love dollar store craft ideas and my daughter needed Valentine’s to hand out to her class at school. 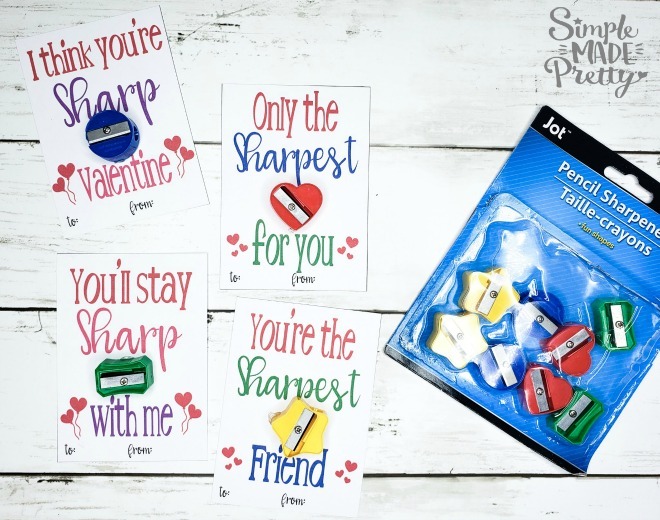 She also mentioned that all the kids never have pencil sharpeners, so I made these cards for her. If you love Dollar Store DIY ideas, you will love this printable Valentine’s Day cards for kids. 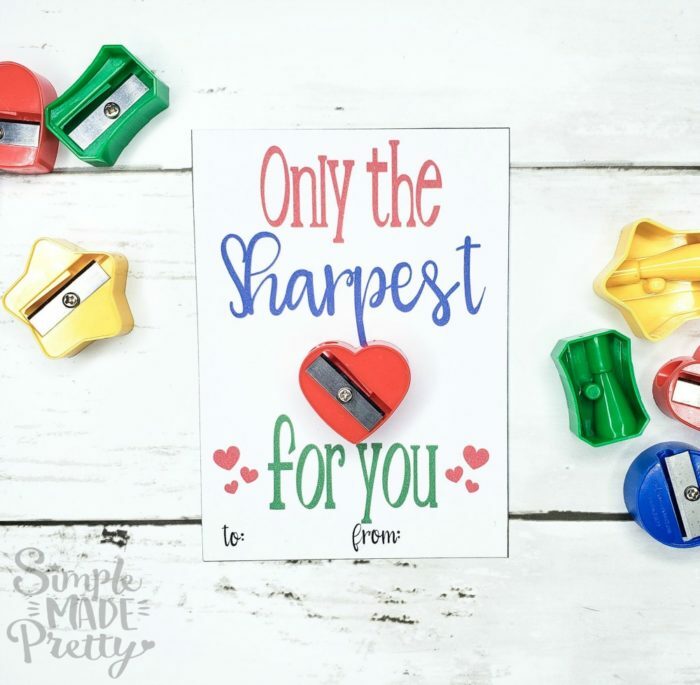 Download these fun Dollar Store Pencil Sharpener Free Printable Valentine Cards below! These printable Valentine’s Day cards are just one of many that are available to print for FREE in my private Digital Resource Library. 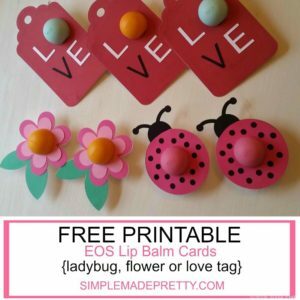 You will find more free Valentine’s printables when you subscribe here! 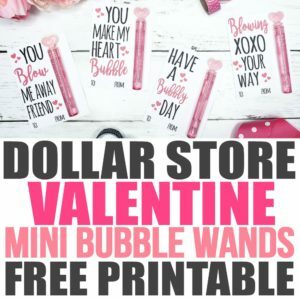 Go here to find more Dollar store Valentine’s gift ideas! 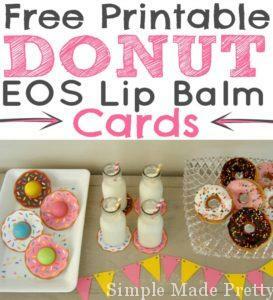 There are 4 different cards in this printable file. See them all below! Making these Valentine’s were really easy. My daughter put together the pencil sharpeners for her entire class in less than 5 minutes. She filled in the “to” and “from” space at the bottom of the card with her classmate’s names. 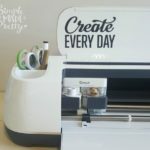 Attach pencil sharpeners using glue dots. 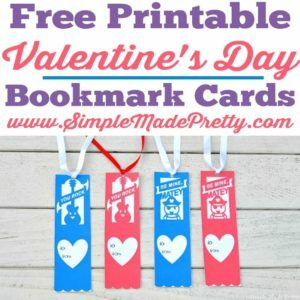 I hope you enjoy making and giving these free printable Valentines. 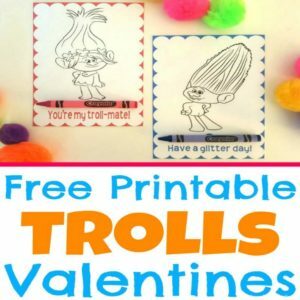 These Valentine cards for kids are easy to make and don’t cost a lot of money at all. In fact, I calculated that each card cost $0.08 each to make! 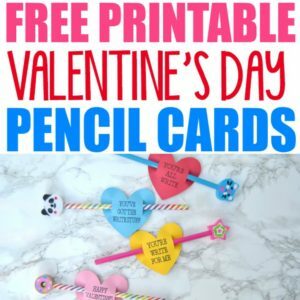 DIY Valentine cards can be fun for kids to make as well. 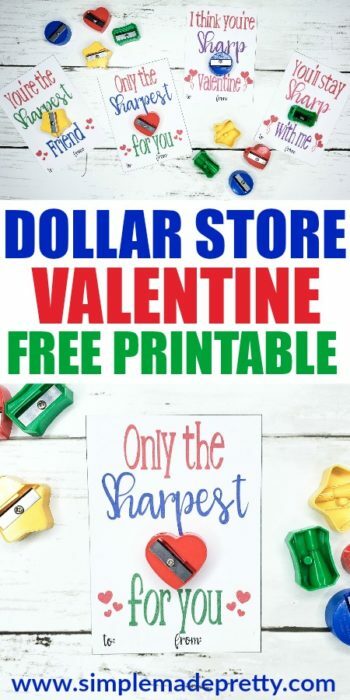 What other Dollar Store Valentine crafts or Dollar Store Valentines gifts do you like? ✅ Don’t forget to grab the pencil sharpeners from here!